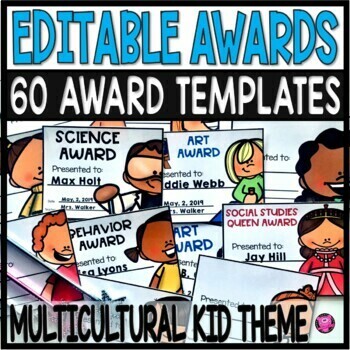 Create your own unique and adorable End of Year Awards with these 60 Multi-Cultural Kid Templates. 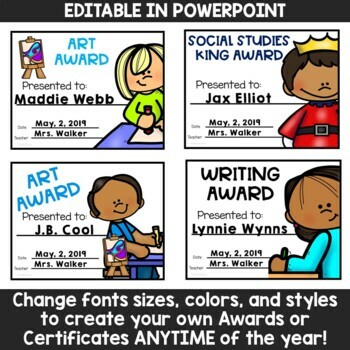 These editable certificates allow you to make classroom and school superlatives for every students! 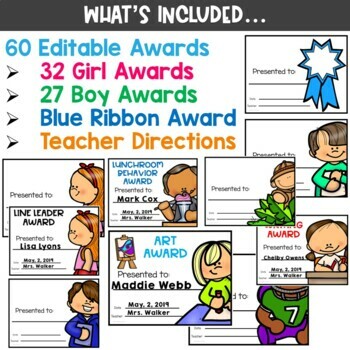 Give your students lasting memories of the year spent with you! This is a MUST SEE PREVIEW! 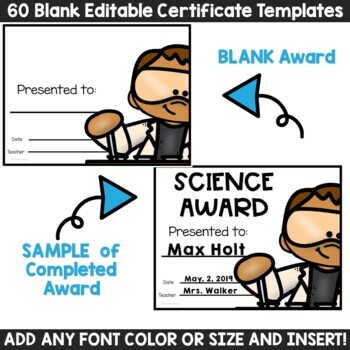 Click on the links below for other products that you may find helpful.